Straddling the equator and divided among three countries: Malaysia, Indonesia and Brunei, Borneo is the third largest island on Earth. Its tropical rainforests are home to an incredible diversity of wildlife from giant apes to pygmy elephants to wild cats and flying frogs. Despite the alarming rate of deforestation on the island (1.3 million hectares per year) Borneo’s Malaysian state of Sabah still retains a large portion of its forest cover. It is easily the best place in South East Asia for wildlife watching. I have travelled to Borneo a number of times over the last three years and have discovered that the best places to see Borneo wildlife are: Danum Valley Conservation Area, Lower Kinabatangan River and Deramakot Forest Reserve. Each of these areas has its own special appeal, but what unites them is the unique opportunities to spot South East Asia’s most incredible wildlife species. So if you are looking for things to do in Borneo, add at least one of these reserves to your Borneo adventure. Which of Borneo National Parks you choose to visit may depend on the species you are most interested in seeing. Borneo is home to the incredible abundance of wildlife. 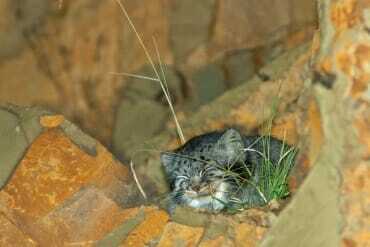 Some species, like Borneo bay cat or Tufted ground squirrel, are almost never seen. But the majority of Borneo wildlife can be spotted with some patience and determination. Here are the top 10 Borneo animals to add to your Borneo bucket list. Did you know that the Orang-utan builds itself a fresh nest out tree branches each night? While the branches are fresh, they are supple and soft to sleep on. But by the following night, the twigs dry up and the nest becomes too hard for the shaggy ape to sleep in. Sadly, the Orang-utan is Critically Endangered in Borneo but it can be spotted along the Kinabatangan river and in Deramakot Forest Reserve. 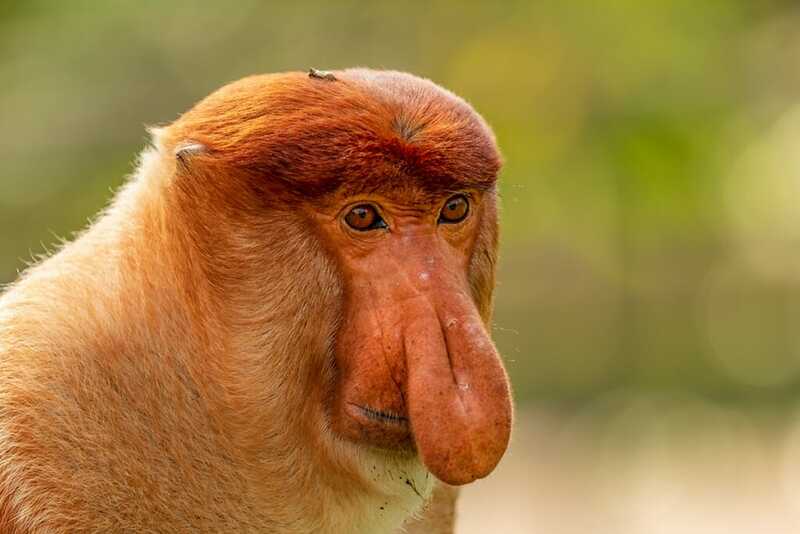 Endemic to Borneo, the Proboscis monkey has got to be one of the oddest-looking primates on earth. Their bulging pot bellies and oversized noses give them the look of grumpy old men. Unfortunately, just like their bigger relative – the Orangutan, the Proboscis monkeys are endangered mainly due to the loss of habitat, that’s being converted to oil palm plantations at an unprecedented rate. For now, they can be easily seen on the Kinabatangan River. A subspecies of the Asian elephant, he Pygmy elephant is the largest terrestrial mammal in Borneo. Though, that doesn’t mean that it is easy to see. The Kinabatangan river, Deramakot Forest Reserve and Danum Valley Conservation Area are all good spots to look for it. 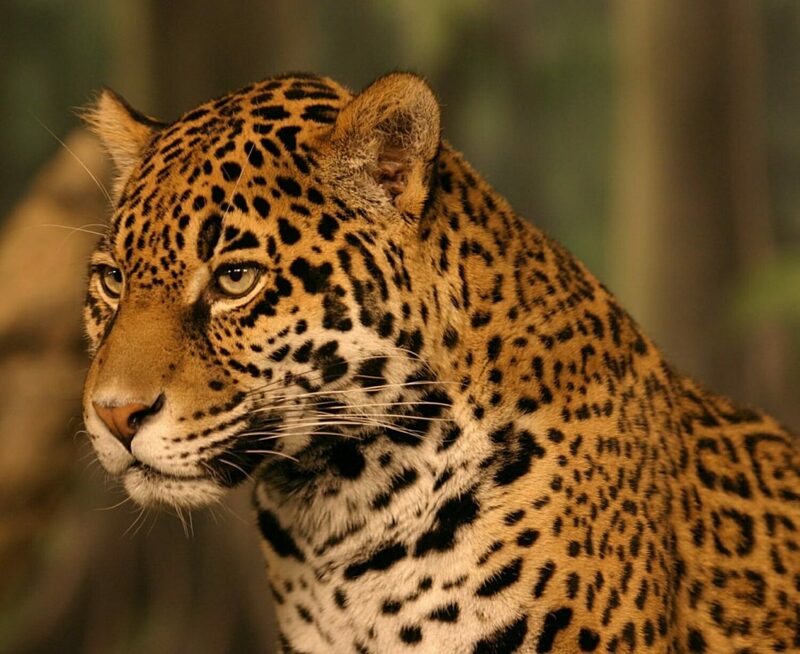 And, you guessed it, it is listed as Endangered, mainly due to habitat loss and degradation. 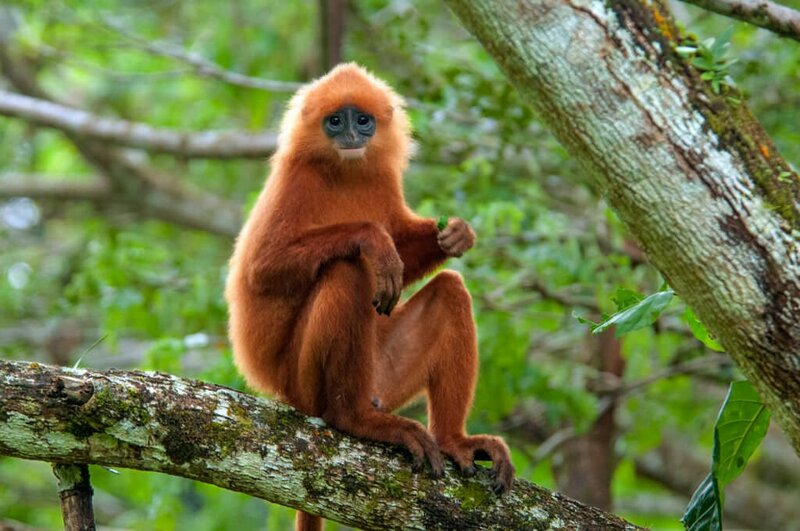 Also known as the Leaf monkey, Maroon langur is one of the cutest primates in Borneo. They are fun to watch as they leap across the forest canopy with incredible agility. The best place to see them up-close is Danum Valley Field Centre. 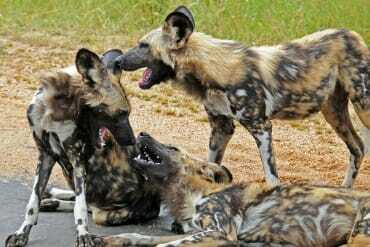 It is listed as “Least Concern” on the IUCN Red List of Threatened Species and its population is considered stable. 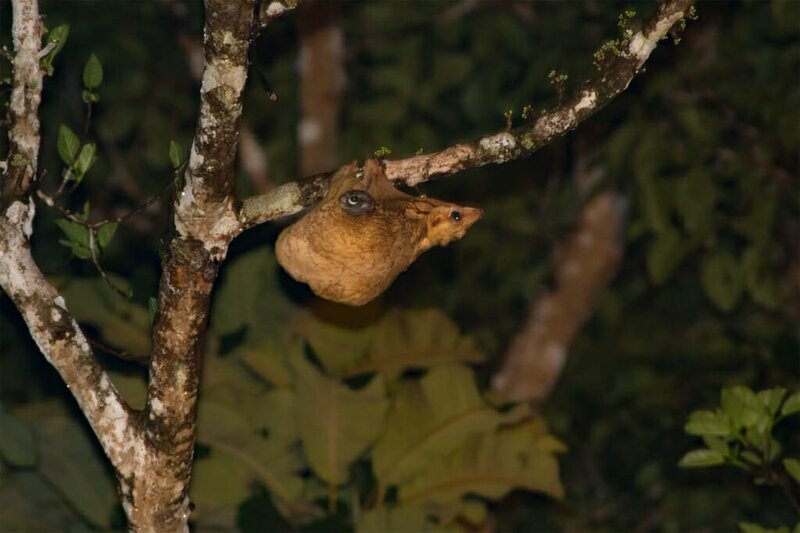 Often referred to as the flying lemur, the Colugo doesn’t actually fly, no it is a lemur. But it is able to glide across considerable distances using flaps of extra skin that extend between its paired limbs. It is active at night and the best place to see it is the Deramakot Forest Reserve. Sunda Colugo is listed as “Least Concern” on the IUCN Red List of Threatened Species. 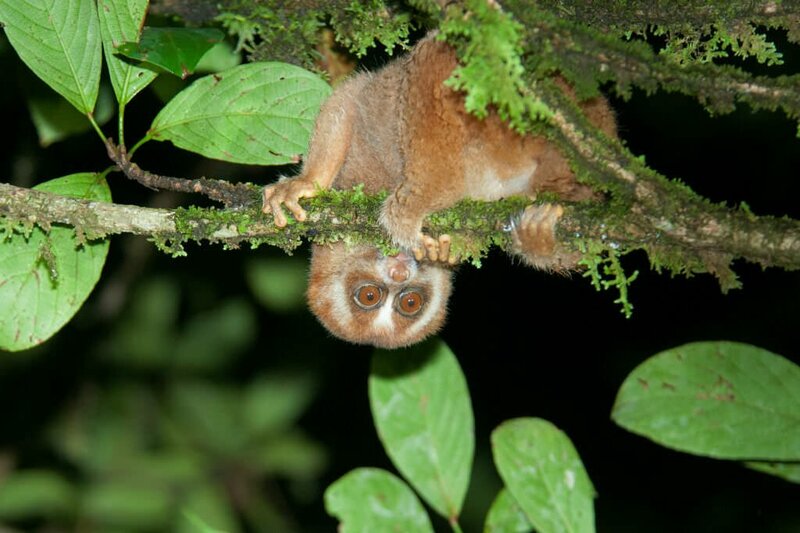 The Slow loris lives high up in the canopy and comes out to forage for food at night. Growing to all of 300 grams in weight, this big-eyed primate is one of the smallest slow lorises in the world. 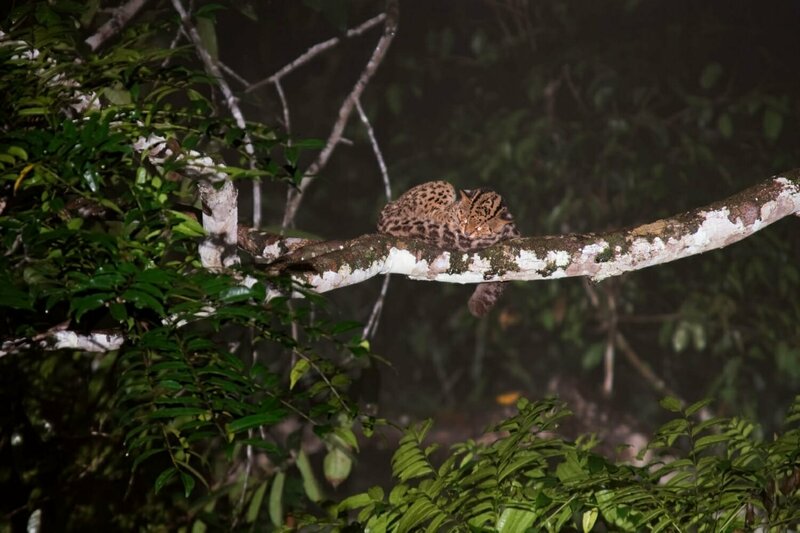 It is listed as “Vulnerable” on the IUCN Red List of Threatened Species, but it can be seen without much trouble on night drives in Deramakot and Danum Valley. The Tarsier looks as if it was made from spare parts. Its giant eyes take up most of its face, its fingers are as long as its entire arm and its incredibly long back legs could have come from a frog. 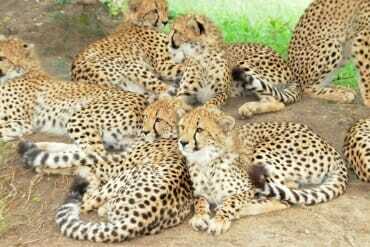 It is listed as “Vulnerable” on the Red List of Threatened Species and its population is decreasing. 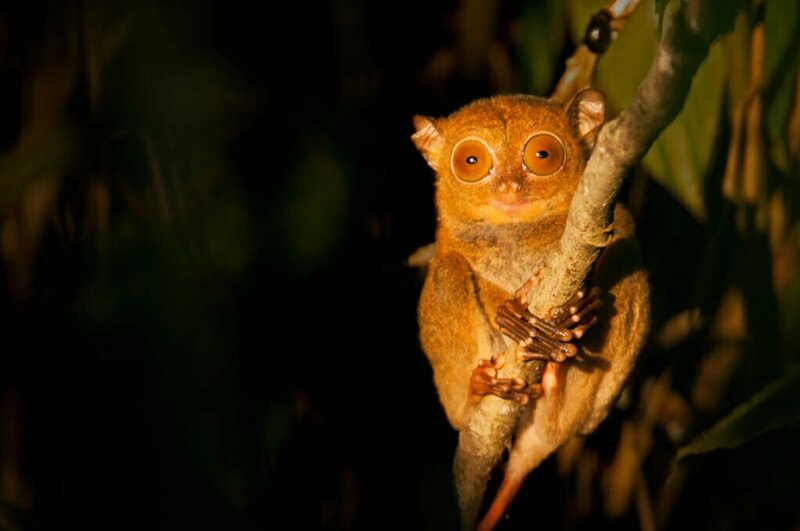 The best chance of spotting a tarsier will be on a nocturnal jungle hike. Rhinoceros hornbill is one of the most majestic birds in Borneo. It is the national bird of Malaysia and the state bird of Sarawak. Like other hornbill species, Rhinoceros hornbill displays interesting breeding behaviour. The pair builds a nest in a tree hollow and once the eggs are laid, the male seals the female in the hollow, using mud and feces to construct a wall. Only a small hole is left so that the male can pass the food to the female and to the chicks once they are hatched. 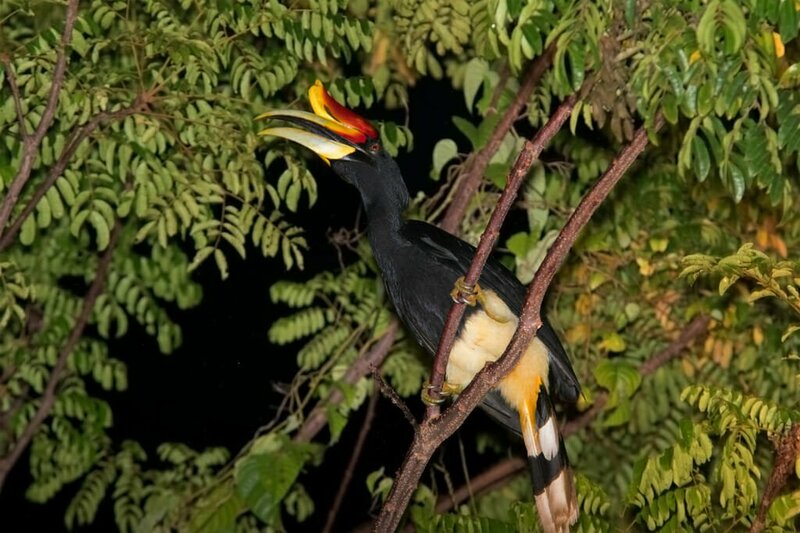 The Rhinoceros hornbill is listed as “Vulnerable” on the IUCN Red List of Threatened Species, but Kinabatangan River is a good spot to see it, along with a few other hornbill species. 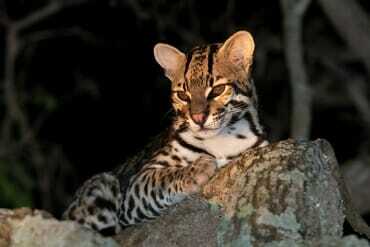 The most common, or rather the least uncommon, wild cat in Borneo, the Sunda leopard cat is a small and handsome hunter. It is quite tolerant of habitat disturbance, and it can be occasionally found in the oil palm plantations. 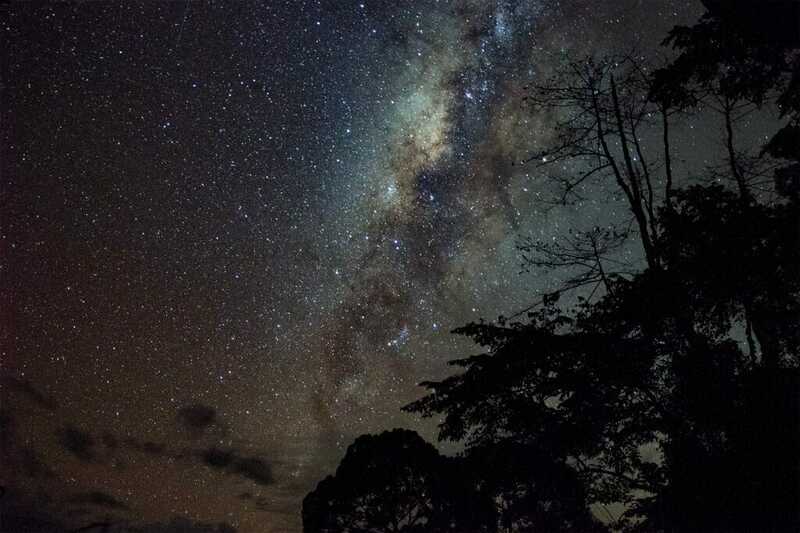 To see it in a more natural setting, take a night drive in Danum Valley or Deramakot Forest Reserve. Borneo fauna is unique for the abundance of flying animals. In reality, most species don’t actually fly, but glide from one tree to another. 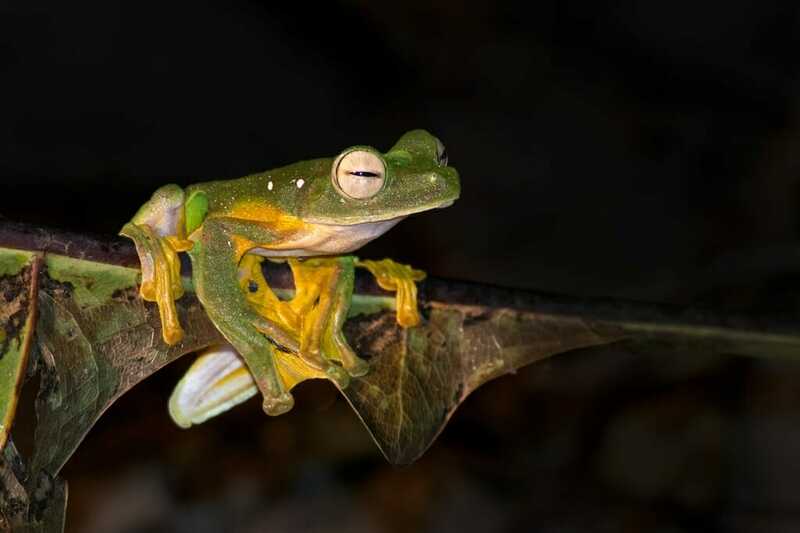 The Wallace’s flying frog is the most spectacular gliding frog on the island. It can be spotted at night after heavy rain. While the population of Wallace’s flying frog is decreasing, it is currently listed as “Least Concern” on the IUCN Red List of Threatened Species. Lying about 2.5 hours by road from the coastal town of Lahad Datu, Danum Valley Conservation area is home to one of the world’s oldest rainforests. Estimated to be 140 million-years-old, this forest has a distinctly primeval feeling to it. Thick clouds of mist float lazily over the tops of some of the tallest tropical trees on Earth. Lush vegetation in all possible shades of green covers every surface in the forest. The wildlife is everywhere in Danum Valley: Bearded pigs and Sambar deer frolic on the lawns around the living quarters and the cheeky Maroon langurs frequently visit the camps. The suspension bridges over the Segama River and canopy towers bring you even closer wildlife. But the best wildlife watching in Danum Valley is at night on a safari drive. You are virtually guaranteed to see Flying squirrels, a few species of civets, Colugos and Slow lorises. And if you are lucky, you may spot Borneo pygmy elephants or even a Clouded leopard. There are two accommodation options in Danum Valley: the luxurious Borneo Rainforest Lodge and the simpler rooms at the Field Center. Alternatively, you can enlist the help of an eco-tour agency like Sticky Rice Travel that has a variety of different tour options for Danum Valley, including camping. Deramakot Forest Reserve is located in the heart of Sabah, about a 4-hour drive from Sandakan. This little-known reserve is the pride and joy of the Sabah Forestry Department. Granted, a logged forest doesn’t sound like a winning wildlife watching destination, but Deramakot is a different story entirely. It is managed for reduced impact logging, meaning that only the trees that can be extracted with minimal impact to their surroundings are removed. And once an area is harvested, it is left to rest for 40 years. As a result, the forest retains its wild nature. 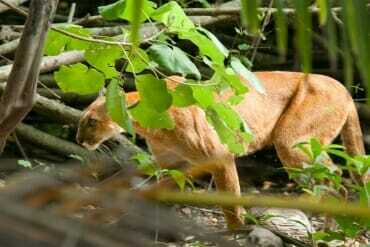 It provides habitat for an impressive 75% of mammal species in Sabah, including all five species of Borneo’s wild cats. I have not seen such a high diversity of wildlife anywhere else in Asia. 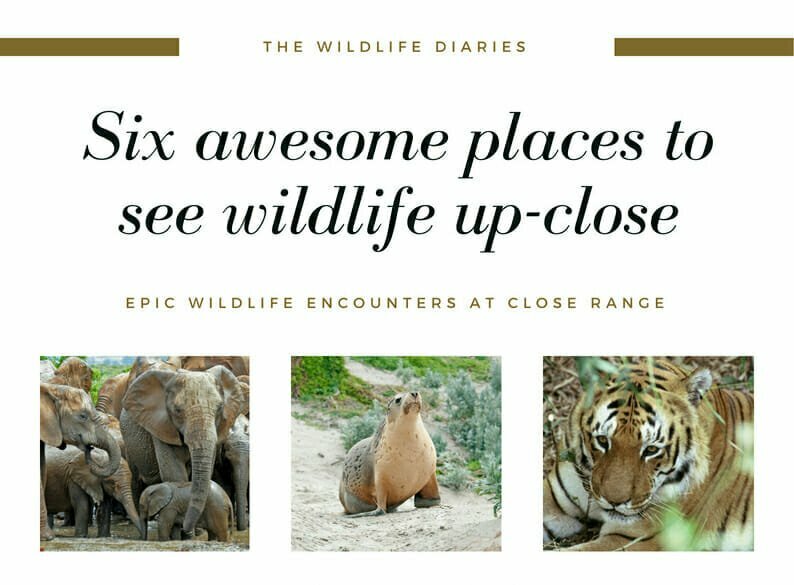 It is the best place in South East Asia for spotting the rarer species, like the Clouded leopard, Marble cat, and Otter civet, as well as Bornean Orangutans and Borneo Pygmy elephants. There are no shops or petrol stations in Deramakot, which means that you either have to bring your own 4WD, all food, and petrol with you or you can join an organized tour with an accompanying guide, a driver and a cook. Adventure Alternative Borneo was the first commercial outfit to initiate tours to Deramakot, and it still remains the best option on the market. The main accommodation option in Deramakot is the three-bedroom chalets that come equipped with hot water showers and air-conditioning. Of all Borneo wildlife hotspots, the lower Kinabatangan River is where you are most likely to experience Borneo wildlife up close. Sadly, the reason for this abundance is that the wildlife has nowhere else to go. Pushed by the encroaching oil palm plantations, the animals are trapped in the narrow stretch of forest on the river bank. If more land is cleared, we will lose this wildlife haven for good. But for now, the wildlife is safe. The visits to Kinabatangan revolve around the river cruises. There are early morning, late afternoon and night-time cruises. The morning and afternoon cruises are perfect for birds and primates. You would be pretty unlucky not to spot a few species of Hornbills, the pig-tailed macaques, crocodiles and the endangered Proboscis monkeys – the world’s oddest looking monkeys. The only other good place for spotting Proboscis monkeys in Borneo at close range is Bako National Park in Sarawak. Lower Kinabatangan River is the best place in the world to see the Orang-utan in the wild. The Critically Endangered apes are being pushed to the brink of extinction by the habitat loss. 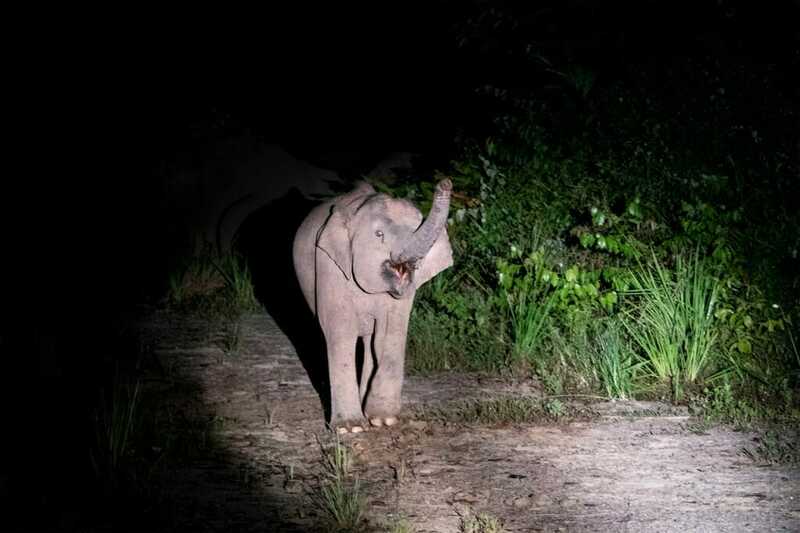 Another iconic creature you may encounter on the river is the Borneo Pygmy Elephant. Even if you only have time for a single safari on the river, you are likely to see quite an abundance of rare wildlife. 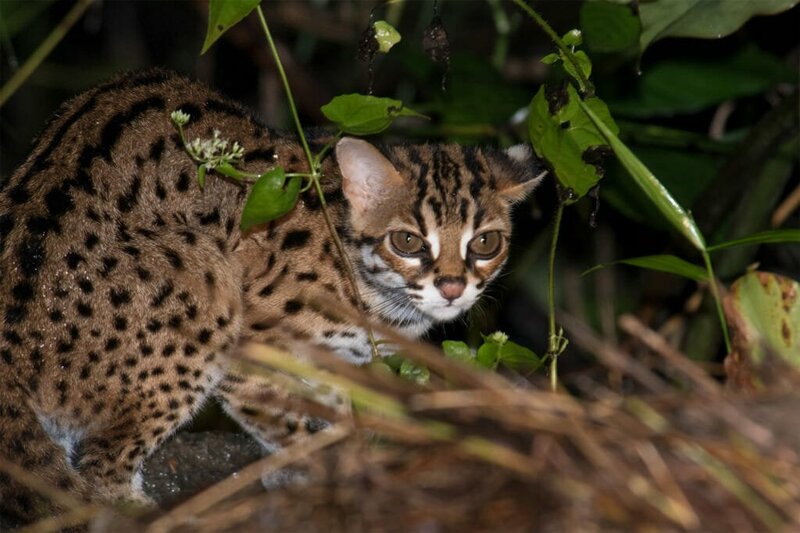 The night cruises bring you up close to the nocturnal species: civets, Slow lorises, owls, and if you are lucky, even the endangered Flat-headed cat. The river itself is a different world at night – silent and misty. There are a number of homestay options on the river, the best of which is Osman’s Homestay. Osman is a very talented spotter. I had some of the best close encounters with wildlife on a cruise with Osman, including the sighting of a Philippine slow loris and a Western tarsier on the images above. 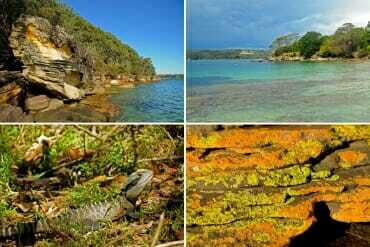 There is more to Borneo, of course than Sabah. If you would like an almost guaranteed sighting of a Borneo Orangutan, head to Tanjung Puting National Park in the Indonesian state of Kalimantan. Check out the contribution by Amy from Out Chasing Stars about exploring Tanjung Puting. 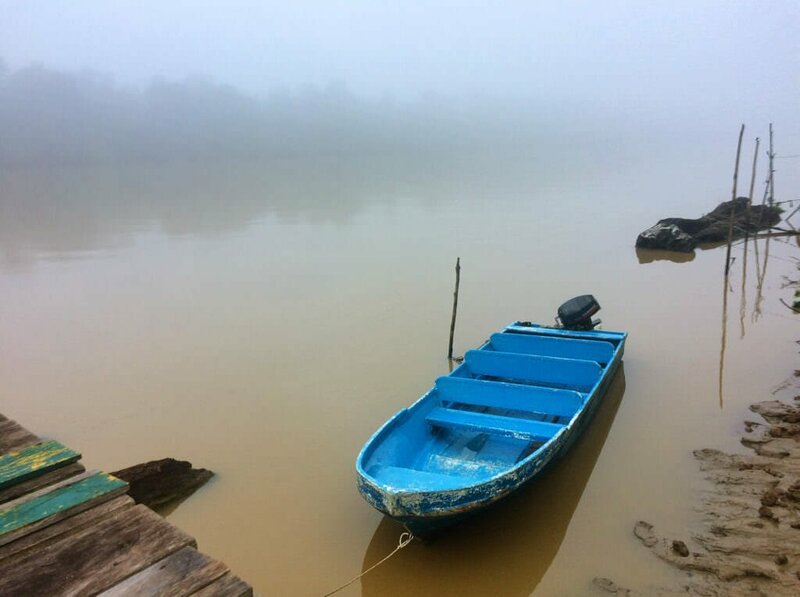 Taking a river cruise is Tanjung Puting National Park in Indonesia is the best way to connect with the local land and its inhabitants. On our river cruise, we spotted many different kinds of primates, birds, and reptiles. Local villagers, in from working the palm oil plantations, led us on night safaris to spot rare wildlife. 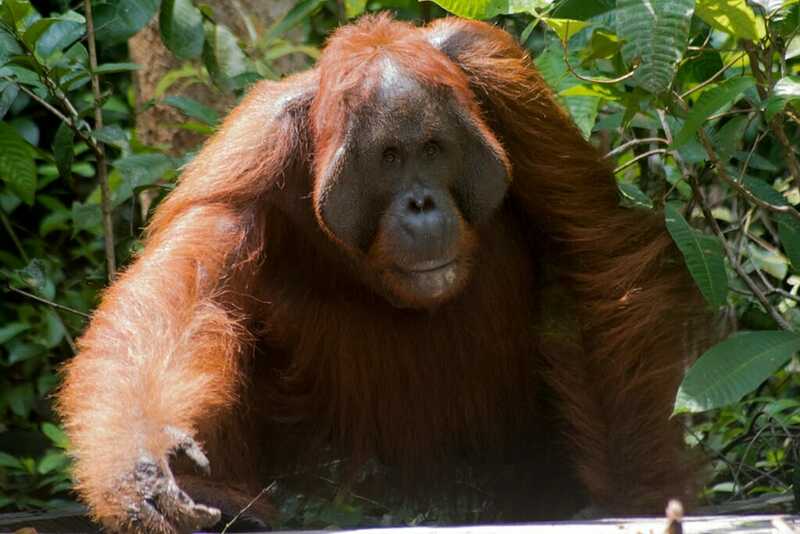 And the biggest attraction is the orangutan, which we saw at three different feeding platforms. Tanjug Puting is home to Camp Leakey, started by Dr. Biruté Galdikas, which is the leading facility for orangutan research in the world. 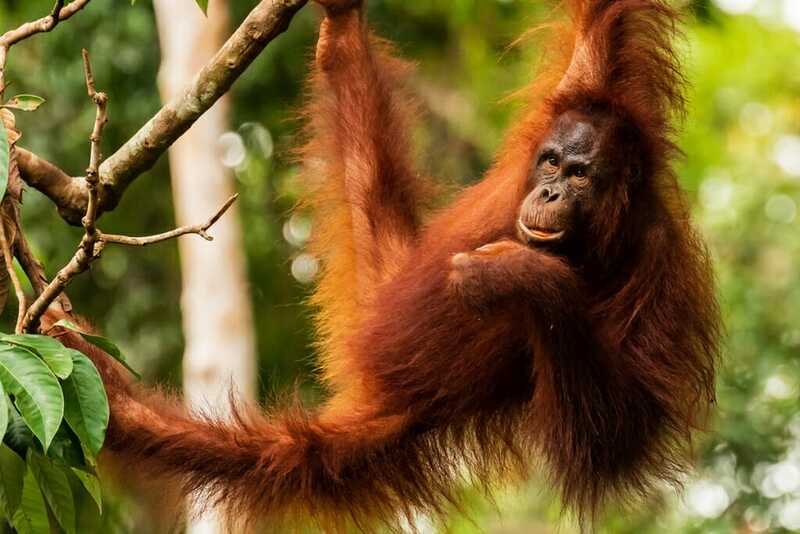 Orangutans are native to Borneo (Indonesia and Malaysia) and Sumatra (also Indonesia) only, and Camp Leakey and it’s feeding stations throughout Tanjung Puting are the best way to guarantee an orangutan sighting. We booked our river cruise on a private klotok, a small boat. There are no luxury options here! The cruise is bare bones for amenities but makes up for it in wildlife. The area is victim to deforestation from the palm oil plantations and mining operations upriver are polluting the ecosystem through the water. 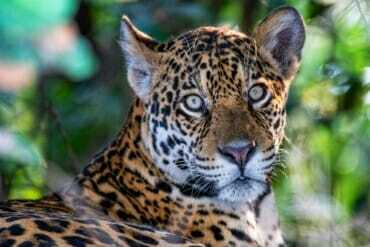 There are creatures living in the forests of Tanjung Puting that we barely understand, and are losing our opportunity to see and research this wildlife. Borneo is one of the wettest places on Earth. Even outside of the rainy season, tropical downpours are frequent, so be prepared to get drenched at least once during your stay. For the best chances of staying dry, visit between April and October. It also happens to be the best time for spotting wildlife, as it coincides with the flowering and fruiting season. Do you have any questions about wildlife watching in Borneo? Don’t think twice, leave a comment! Fantastic writing and brilliant topic! 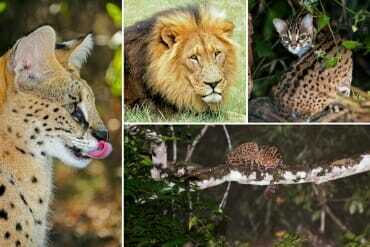 Every photo was more amazing than the last, although the photo of the “baby leopard” (a girl can pretend, right?) really pulled at my heartstrings! Lol, The Marbled cats are adorable. They have one of the longest and fluffiest tails in the cat family! Wow, what a great roundup of wildlife spots in Borneo. And these photos are amazing, I will definitely be bookmarking this post for my future Borneo travel planning. Oh wow this is so amazing! Sadly I won’t visit Borneo anytime soon but I would love too. Nevertheless I am going to see the Taman Negara park soon. Do you know it? Definitely something I would love to do at least once in my life. It reminds me of a lot of the bio trips I used to take in grad school. BTW, the pdf you have with info for that field center is not working- would love to stay there for a stay! Yes, definitely, these trips are quite similar to ecology field trips we did at uni, but even more fun! Thanks for the heads up on the link to the pdf. I fixed it up. 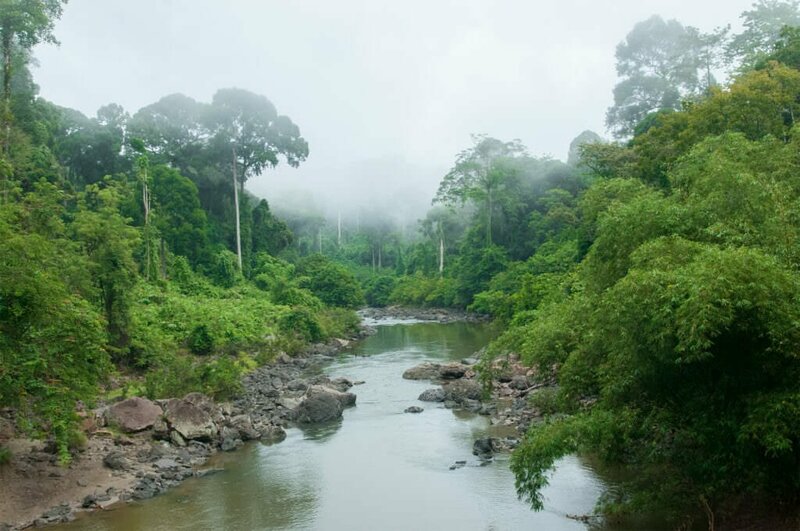 Can you believe that I spent 23 years living in Borneo and I’ve yet to visit Danum Valley let alone the Kinabatangan river? (I only visited Mulu last year). 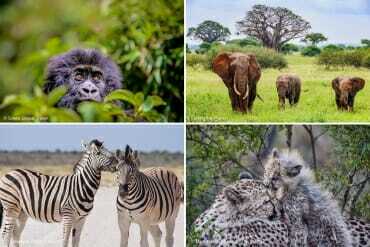 Your wildlife photography is amazing too! Oh wow!It should definitely go on your bucket list then! I wish I was that close to these amazing places. I’d spend all of my long weekends there :). I have no doubt you will love either of these places. It is very sad to hear how many hectares are lost a year to deforestation. It would be incredible to be able to view so many different types of animals. 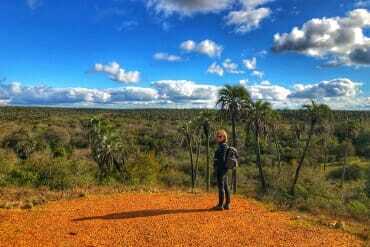 We thought it was great to go on an African Safari but this looks amazing! I hope they stop encroaching on the land soon so that the animals are pushed to extinction. WOW i cant believe you saw all of those animals! What a brilliant round up. Thanks for sharing. very educational. thanks for sharing this, I’ve learned a lot! What a great article! 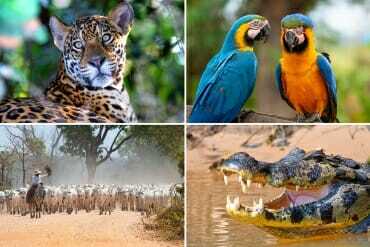 Animals are so special and it’s so sad to see how much deforestation occurs 😢 but it’s great that you got to see so much wildlife! Thank you, Lauren. It is often a bitter-sweet feeling to see the amazing wildlife and to realize how threatened the animals are. 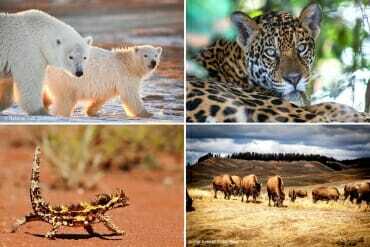 But there is always hope that if enough people value wildlife and wild places than it will become economically beneficial to preserve these areas and the animals that live there.